Since I was drafted into the army in October, I've been fairly sick off and on. Two weeks ago I was hacking up radioactive green mucus all day every day, non stop coughing and sneezing. Every winter I get sick with a sinus infection, but this year it was pretty hard to get over. I still haven't fully recovered, and as a matter of fact I just got up to blow my nose. Considering that we get up at about 5AM every day, and go to bed after 11PM, give or take, it's not so hard to get sick. But before this obvious infection came on I was really happy to see our company medic (the "chovesh") was a smiley kind of guy who always just stood at the entrance to the commanders' barracks, hands down his pants, looking around like a contented veteran. He didn't seem to do anything, but he was around and smiling, so I figured he was a good guy. He just has that look to him. He's the guy you go to for all types of medical issues, from needing gauze for a blister to getting sick leave. So, it's comforting to see him being so available. In light of his visage, let's call him Medic Smiley. You repeat that process two more times, obviously, for the rest of the meals in the day. There are other things you do, a lot of other timed busy work, but that's the main duty. So, I couldn't believe it when out of the three other guys helping the SARSAP I was told to be the guy handing out the silverware. Before each meal the platoon sergeant lines his soldiers up in two single file lines opposite from the door, letting in two at a time. The two enter, and there is the guy handing out the silverware. He sits on a chair and hands the silverware out by hand. I found myself sitting overtop the silverware with my head turned to the side trying not to sneeze into the forks and knives. The SARSAP was standing next to me, and he noticed my eyes watering and nose running. I wiped my nose across my shoulder without using my hands, and looked to him thinking that he'd recognize my condition. As I coughed up a loogie the size of a golf ball and looked around in agony, the SARSAP just shrugged his shoulders. It seems that he doesn't mind getting the entire company of 150 guys sick. A couple days later I figured I'd talk to Medic Smiley when the chance arose. He called me into his small medical room and asked me what the problem was with cynicism right off the bat. "It seems to me that I have an infection. Every year-"
Cutting me off, he snapped, "What's hurting you?" "Well, my throat hurts, my head hurts. I have a fever. I have a lot of sneezing and coughing, and a lot of snot. Also, I have a huge amount of mucus." "OK," he said, and reached into the drawer behind the desk for a thermometer. "Put this under your tongue." I put it under my tongue and sat there quietly, wondering when he was going to realize that I needed a doctor and antibiotics. I mean, I know his job is fraught with people making excuses to get out of this and that, but it's pretty easy to spot those who really need medical attention. After about 15 seconds he asked me to pass him something, and I figured he said to pass the thermometer. It wasn't a matter of not understanding the Hebrew, it was just that he mumbled whatever he said. I took out the thermometer and held it out for him, but he waved it away and told me to give him my hand. I put the thermometer back in, and put my hand on the table. While checking my pulse the electric thermometer beeped. It was ready to be checked. I pulled it out, and it read 30.6 degrees Celsius. Now, I'm from America. I don't really have the instant recognition of what degrees mean in Celsius, but I had a feeling that 30.6 was slightly low. I looked over to Medic Smiley, who was not smiling at the time, and wondered if he was going to tell me to redo the test. He didn't, and I sat there wondering what 30.6 degrees meant. Medic Smiley typed something into the computer on the desk, and then reached into the medicine cabinet and gave me four Ibuprofens. I took them into my hand dejectedly, realizing that it would take a small battle to get past the medic to the doctor. I didn't want to seem like a pansy, so I left without a fight, figuring that if I got any worse I'd ask to see him again. My head throbbed for another week before the fever broke, and I think I swallowed a handful of Ibuprofens in the meantime. Later on I did the calculation on what the thermometer told the medic. My temperature was 87 degrees Fahrenheit. I had one hell of a cold, apparently! The entire point of this poorly written post is to tell you that I hate the company medic. Medic Smiley, you are worthless. The other point is to give advice to those entering the army. 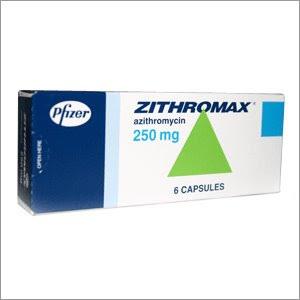 Bring a Z-Pack (Zithromax) with you if you can swing it. Israelis think Americans are wusses because we take a lot of antibiotics, but if you were as sick as I was, you wouldn't care who called you what. I totally hear your green mucus pain. Not that I'm in the army, but I was sick a few weeks ago and went to the doctor and she told me to take acamol(tylenol).. and I was thinking - I have an infection, green mucus equals antibiotics. But like you, decided to tough it out. When a few days later I was just worse and hocking up insane green sludge, I went back and demanded my z-pack. and would you look at that - I got better! I hope this commiseration helps..
Hello! I just started reading your blog (got the link from nefesh benefesh emails) and have been reading it here, in Toronto, for the last two hours straight, catching up. It's fantastic! I mean, the first thing that comes to my mind is RESPECT. I had oodles of respect for Israel, and Israelis, and especially those who are or were soldiers, before already but now its just been increased tenfold which I didnt think was possible, and continues to be, as I read your blog. It's really fascinaing! and when you write all those details about what they make you do and how it all ges down, like the Day #1 post for example, dont worry if someone is reading it or if u are boring ppl. You aren't. We're reading with rapt attention! Or at least I am.I'm making aliyah soon and have been thinking a lot about the army; I just don't know if I could handle living there in the long term without doing some amount of army service. Even just going to a bar with friends and you know the bartender served 3 or however many years risking his life, doing insane grueling things,a nd here you are being served by him! it just doesnt make sense in a way, unless you serve too. But I'm a chick, so I don't know how much they would let me do or what my options really are. We'll see. In any case, this insider perspective is awesome, keep it up! and I wish you lots of health and SAFETY. By the way, try vitamin c for all that snot and whatever else. But you need to really megadose, like maybe 12 thousand mgs. when you're really sick. In divided doses of course! Maybe 3000 four times during the day. It's a miracle worker,a really great natural antibiotic. There is no recorded overdose of vitamin c, and I've used this cure myself. Best of all, u don't need Medic Smiley. What do you mean he had his hand down his pants? Pocket pool? Nex time you are around a superpharm stock up on Vitimin C and zinc, and throat losengers and whatever else you can get your hand on. Meanwhile eat as much citris as you can. I don't think Middics give out antibiotics, (if I remember correctly)I think you need an actual doctor for that and you may be sent to an ER, which is not more fun than being sick while on duty. But you may get a few Gimmelim (sick leave)to rest at home after that. The last thing the medic wants is to give you Gimmelim which they think everyone comming in wants out of them. You can try to get Betim (time for rest while at the base) but than is not really restfull, although if you are really sick you can probobly sleep through it. 30.6°C, thats a bit way low. Unless it was 36°C but that's not consistent with fever. Could be that the result was false due to faulty meter or because you removed it, or because it was measured at the tongue. Usually its the armpit. Human body temperature is 37 to 37.5°C in a normal state. Above 38°C, fever. Hypothermia, underneath 35°C. Body temp below 32°C is critical and could be fatal. Underneath 27°C is definately lethal without medical intervention. Some people seemingly survived 14°C. Go ahead and give that part of the blog another read. Anonymous - yes, pocket pool. Also just inside the belt though. But sometimes he goes for the kill. Those are special occasions. Toronto - Anonymous -- thank you for your comment. I'm saving that in my "blog comments" folder on my computer. That made my day. Well I did stop reading after you swallowed a handful of Ibuprofens. Smiley must be worthless...at least he understood that there's no way in hell you had hypothermia ;p. Hope the meds are working. US Army medics love to hand out ibuprofens and tell you to drink water, even if you have bronchitis like I did in Basic Training.